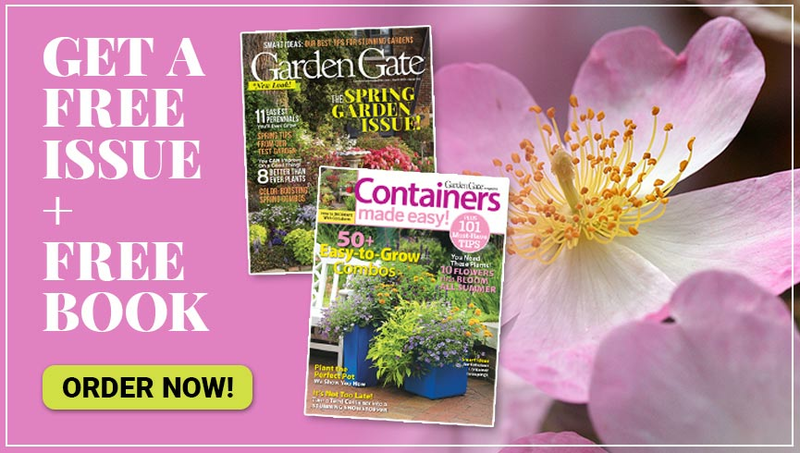 Looking to freshen the look of your container gardens? 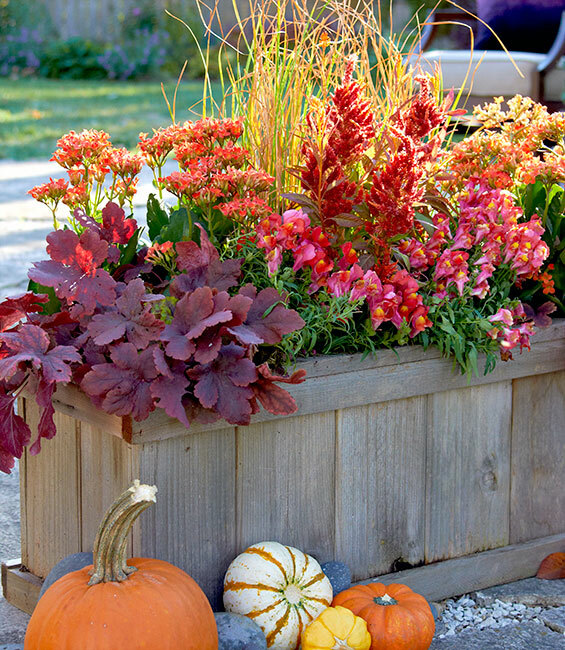 This beautiful, warm-colored fall container endures even in cool weather. Celebrate autumn with this warm fall container! 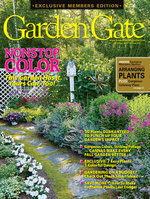 Grow all the richest shades of fall in one warm-colored fall container! Watch the colors evolve with the season: As the weather cools, the heucherella and celosia darken, and the cattail foliage turns yellow. It’s easy to care for this container, too, see our tips below along with the plant and design details. Once the snapdragons and celosia finish blooming, pitch them. 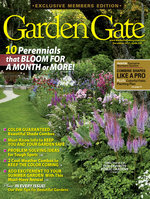 You can plant the heucherella and cattails, both perennials, in the garden. Kalanchoe will take a light frost, but if you want to keep it over winter as a houseplant, bring it indoors before freezing temps arrive and it gets nipped. The kalanchoe also likes dry soil, so leave it in its individual pot. Position this container in a spot where it will get full sun to part shade.